Dayton Horvath and Olivia Hentz of Lux Research take a look at opportunities in SLS 3D printing. 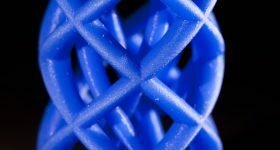 Despite its decades long history, selective laser sintering (SLS) continues to have undeveloped potential to form high quality production parts that are difficult to make using other 3D printing methods. One of the largest challenges to 3D printing of production quality plastic parts is poor mechanical properties commonly observed as reduced strength in the z-axis. 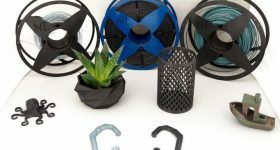 Although companies such as Essentium and Rize3D have attempted to overcome these limitations with novel modifications on fused filament fabrication (FFF) and Carbon has demonstrated improved mechanical properties in a method similar to stereolithography (SLA), these companies are unique in offering more mechanically isotropic parts. The Fusebox attached to a Stacker S4. Photo via Essentium. 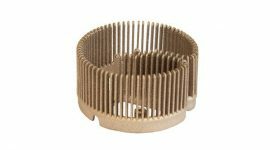 In contrast, SLS as a printing technology inherently provides more mechanically isotropic parts. Additionally, the powder bed in SLS printing acts as a natural support structure for parts, enabling geometries that are difficult to print with FFF or SLA as well as vertical “nesting” of parts. However, SLS suffers from materials limitations due to the limited number of commercially available thermoplastic powders. 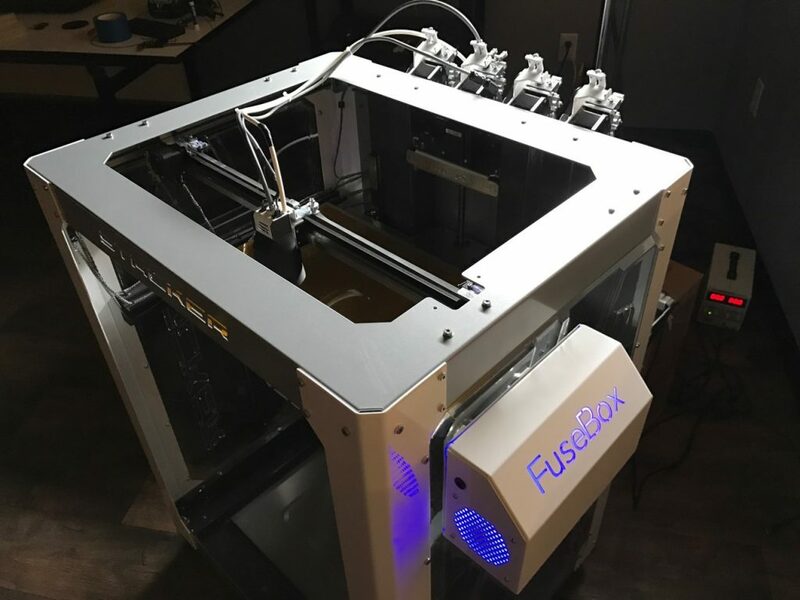 Furthermore, SLS equipment development has lagged behind other technologies and the closed materials platform many large SLS printer manufacturers use further restricts new material adoption. We recently spoke with the inventor of SLS printing, Carl Deckard, and his fellow co-founder of Structured Polymers, Vikram Devarajan, regarding their perspective on future opportunities for SLS and how they envision materials development addressing SLS printing’s core challenges across the value chain. 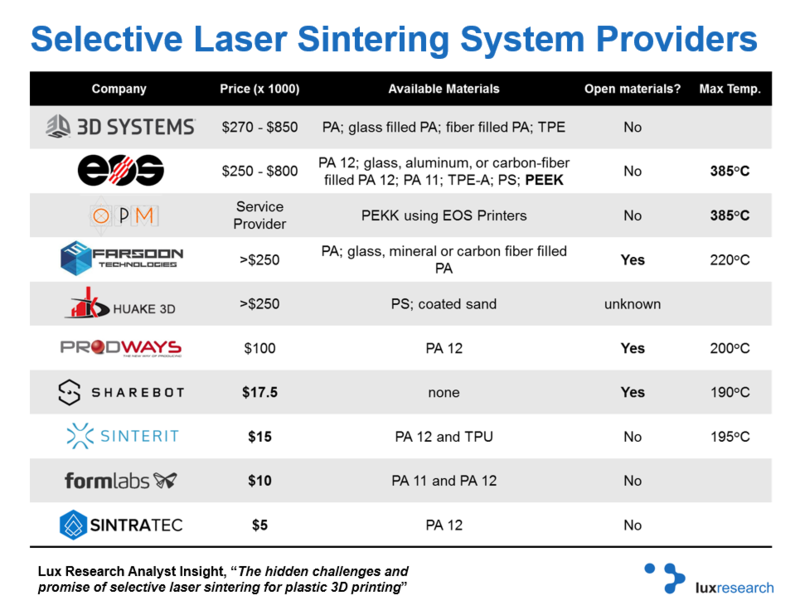 Selective laser sintering systems have a range of price points, but limited materials options due in part to the limited temperature range of many systems. Notable exceptions are bolded. 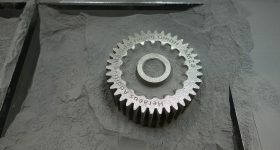 One of the major limitations to SLS today is the lack of materials which can be produced in the powder form needed for this printing method, as reflected in the low variety of available materials shown in the table above. Commercially available plastic powders are typically made via one of two methods: cryo-grinding or solvent-based precipitation. Each of these methods are incompatible with many desirable thermoplastics and both methods are expensive and produce powders with wide particle size distributions. Structured Polymers is a start-up that aims to expand the range of thermoplastic powders for SLS printing through its novel method of producing powders via chopping fibers. Its production method, which takes inspiration from textile processing equipment, can produce powders from a wide range of thermoplastics and has demonstrated a better controlled particle size distribution. EOS and TU Munich’s Roboy. 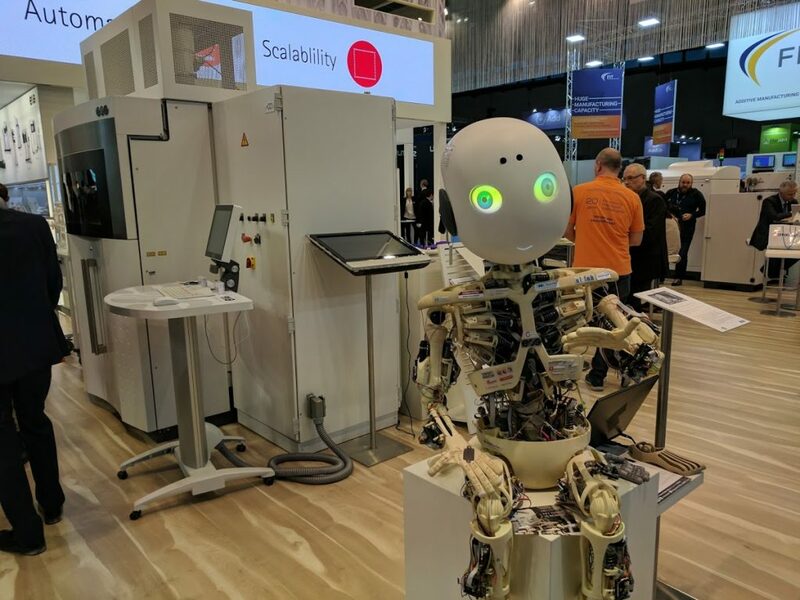 An example of hard robotics. Photo by Michael Petch. While nylon 12 is the most common SLS material today, Carl and Vikram stated that Structured Polymers has demonstrated the production of several polymers of high commercial interest where acceptable powders are not currently available for SLS. 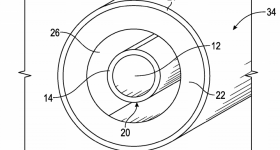 These materials include elastomers (particularly thermoplastic polyurethanes), several polypropylenes, and polyesters. Although materials diversity is a necessity to drive adoption into applications, the timeline remains exceedingly slow for validating new powders by cryo-grinding or solvent-based precipitation from a process standpoint as well as scaling up to meet demand without compromising powder quality and consistency. 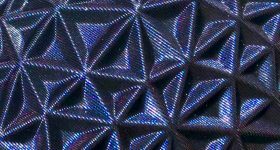 New materials commercialization is up to materials providers and printer manufacturers partnering to deliver materials properties that can compete with their conventionally manufactured analogs. In addition to the limited number of printable plastic powders, there are several equipment limitations for current SLS printers. Due to the early use of nylons in SLS, most printers installed to date only reach a maximum sintering temperature of 200°C and as a result cannot sinter high performance polymers (with EOS and Oxford Performance Materials as notable exceptions). Additionally, most systems use oversimplified temperature control systems that hinder accuracy as well as ultimate print speed. 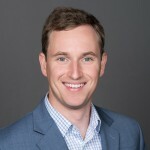 Carl predicted that similar to the surge in FFF printer innovation and design that allowed for a more complete range of printer price points and capabilities, in the next five years SLS printers will experience an overhaul in their design that will remove the constraints on temperature, speed, and cost of earlier models. 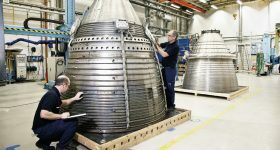 Such technical innovation will require investment in the promise of SLS and support from both materials suppliers and product manufacturers, and there are already notable signs of support at the equipment level. 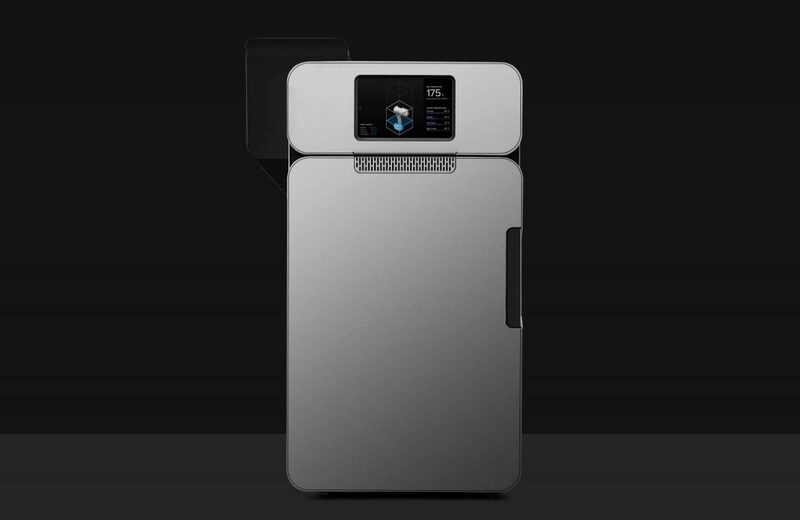 The low cost SLS 3D printers made by Sinterit, Sintratec, and Formlabs mirror the development of FFF desktop professional printers and the announcement of EOS’s high temperature dual laser system are early steps towards more accessible and production-oriented SLS systems. The final limitation for new materials adoption in SLS printing is the closed business model used by the major SLS printer manufacturers. 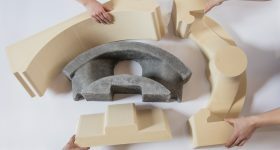 Companies like 3D Systems require that customers use the company’s materials on its SLS systems and it offers only a limited range of materials. Looking forward, Carl and Vikram projected that new materials development will lead to stronger demand for open systems that can use a wider range of thermoplastics. Companies such as Prodways have already moved in that direction as seen in the above table, even advertising the ability to print with any commercially available SLS powder. Whether closed system market leaders follow the open materials model becomes a question of future revenue gained from printer sales outweighing future revenue losses from materials sales going to third parties. Progress in overcoming the limitations of current SLS printing technology can be observed in the table above, showing the technical specifications of some of the leading SLS printers on the market. Specifically, the bold text shows how some companies have begun to tackle challenges related to equipment cost, materials diversification, and temperature restrictions. 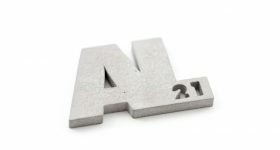 However, broader adoption of SLS printing will require materials developers, printer manufacturers, and part manufacturers to work together and emulate the vertical integration that has helped propel the successful metal powder bed technologies in aerospace and medical applications to date. While Carl stated that improvement of SLS printers will be driven by materials development, materials development will in turn need to be supported by interest from printer developers and ultimately end part manufacturers. Companies interested in materials development and supply should explore novel thermoplastic powder production methods to expand the range of thermoplastics for SLS, either through partnerships with startups like Structured Polymers or via internal development. Printer developers have an opportunity to differentiate themselves through cheaper, faster, and higher processing temperature equipment. 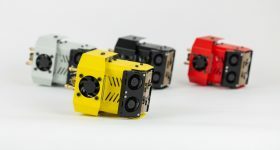 Most importantly, product designers and manufacturers should consider SLS printing for custom products that require better isotropic properties than FFF or SLA currently offers, and should work with materials and printer developers to drive materials and process capabilities towards desired product specifications. If you want to share your insight this our readers regarding a specific area of the 3D printing industry then please get in contact. Featured image shows Laser-sintered figures made by the Sinterit LISA.